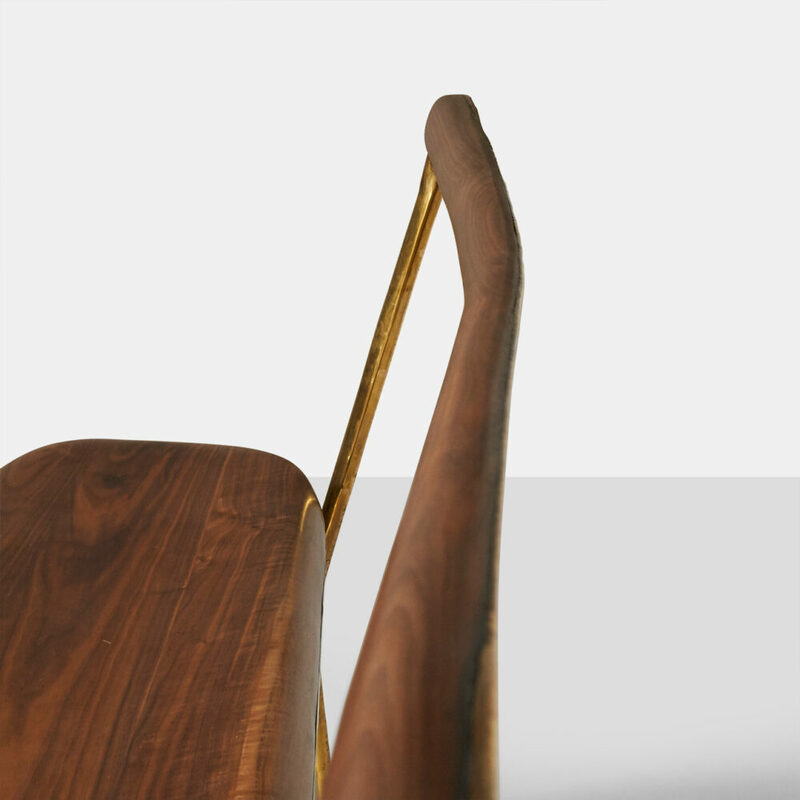 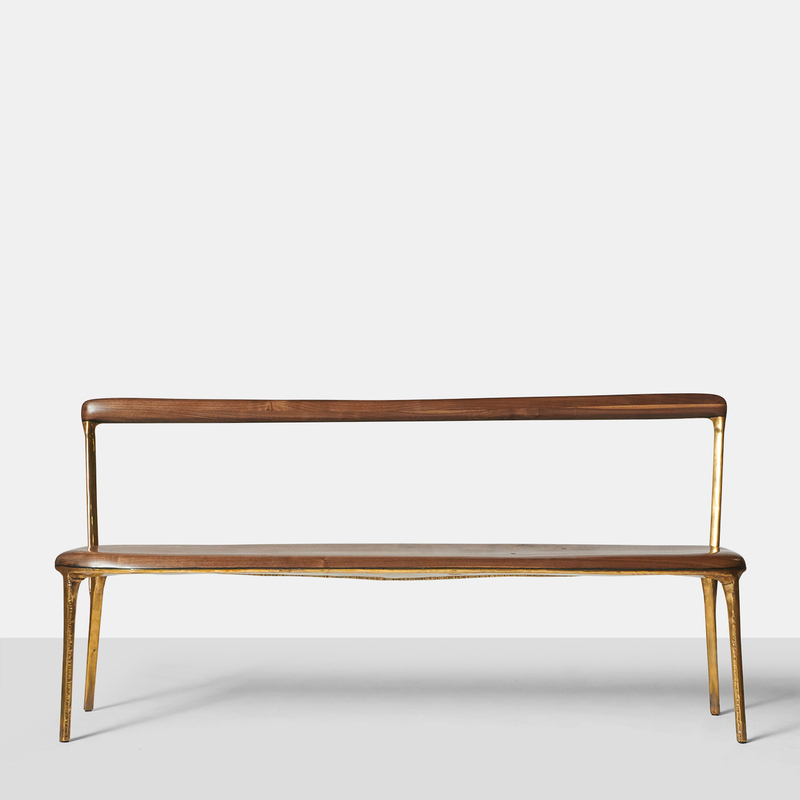 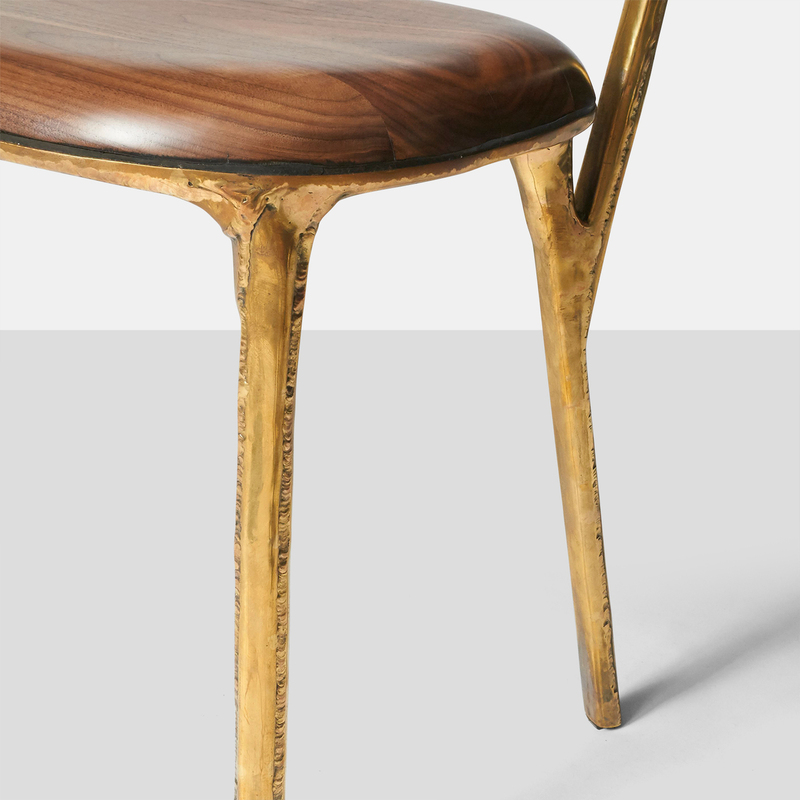 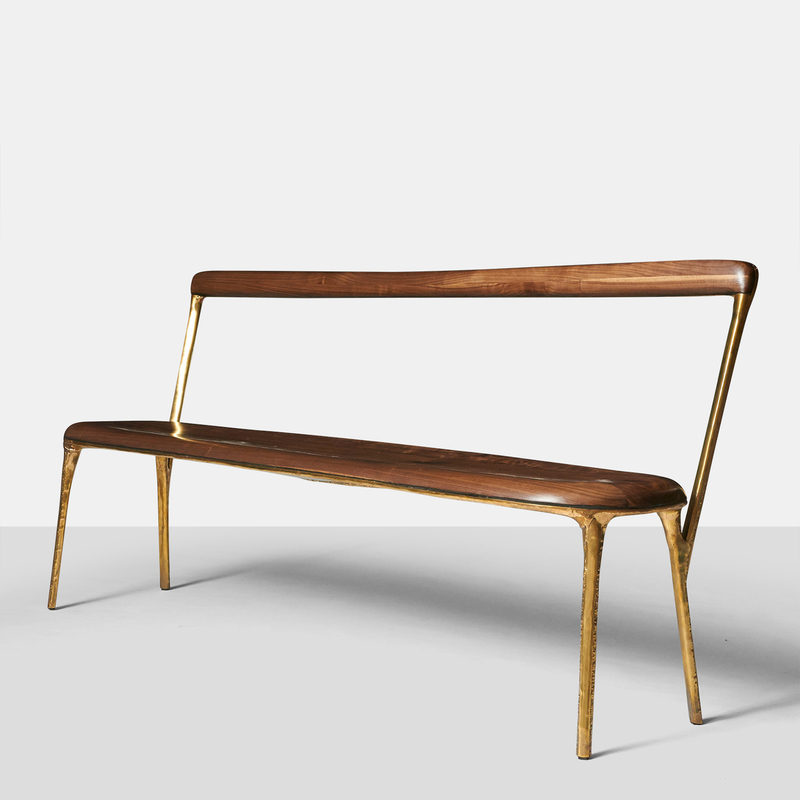 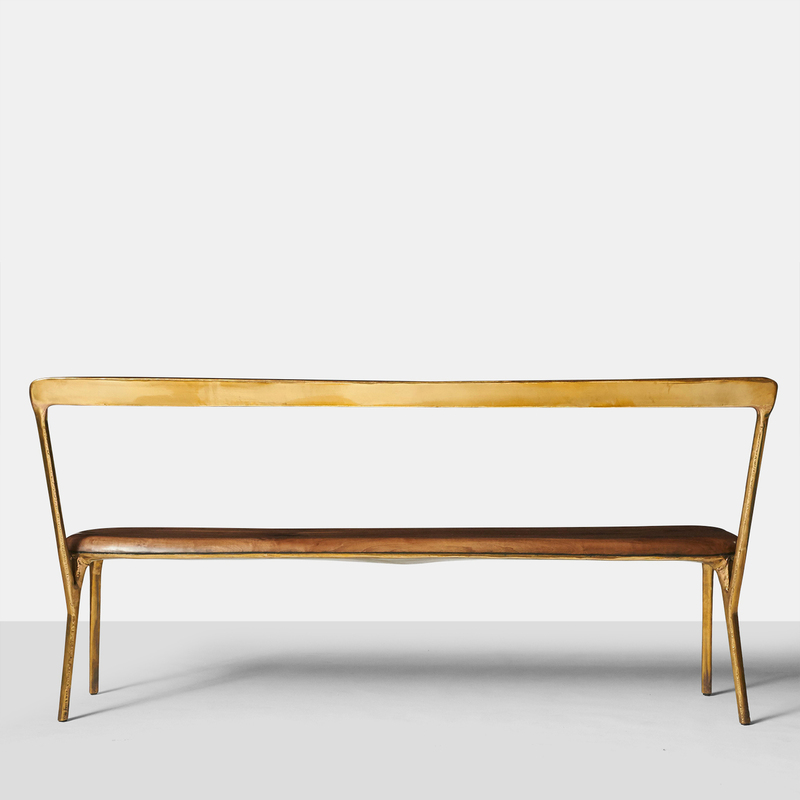 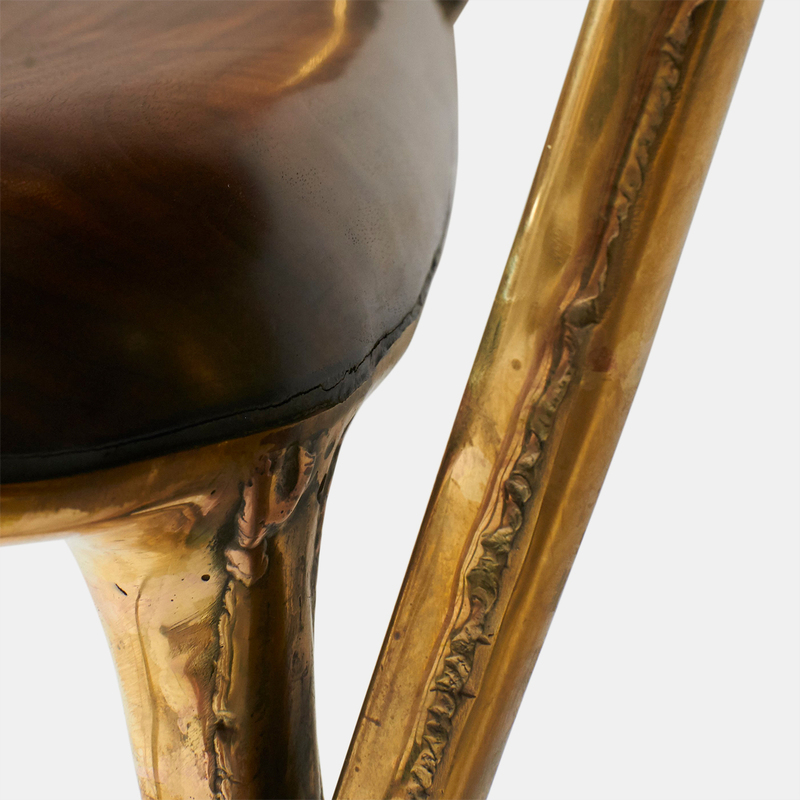 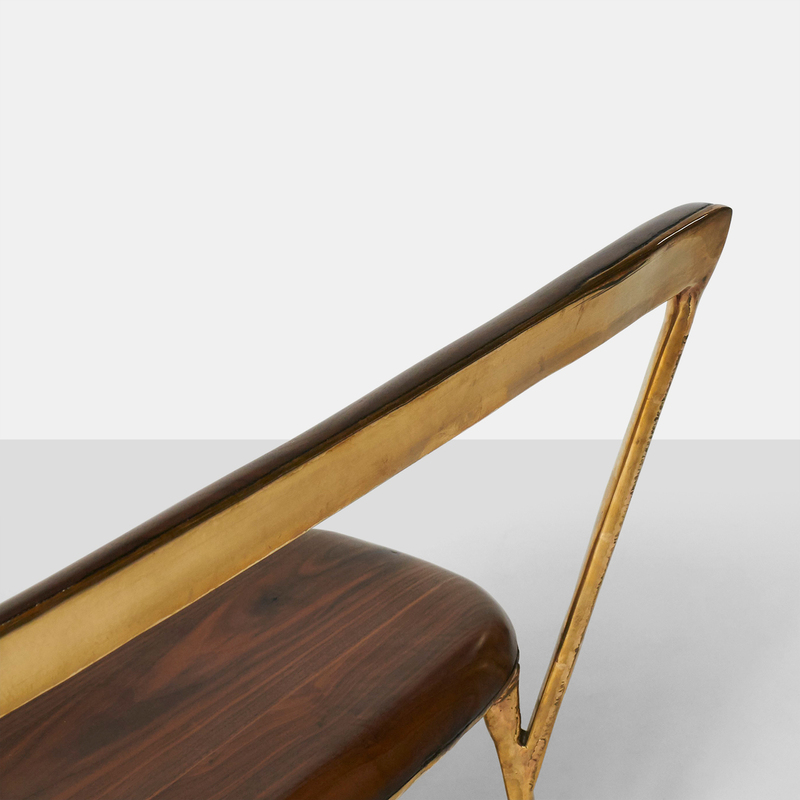 A bench in hand worked brass with walnut seat and backrest. 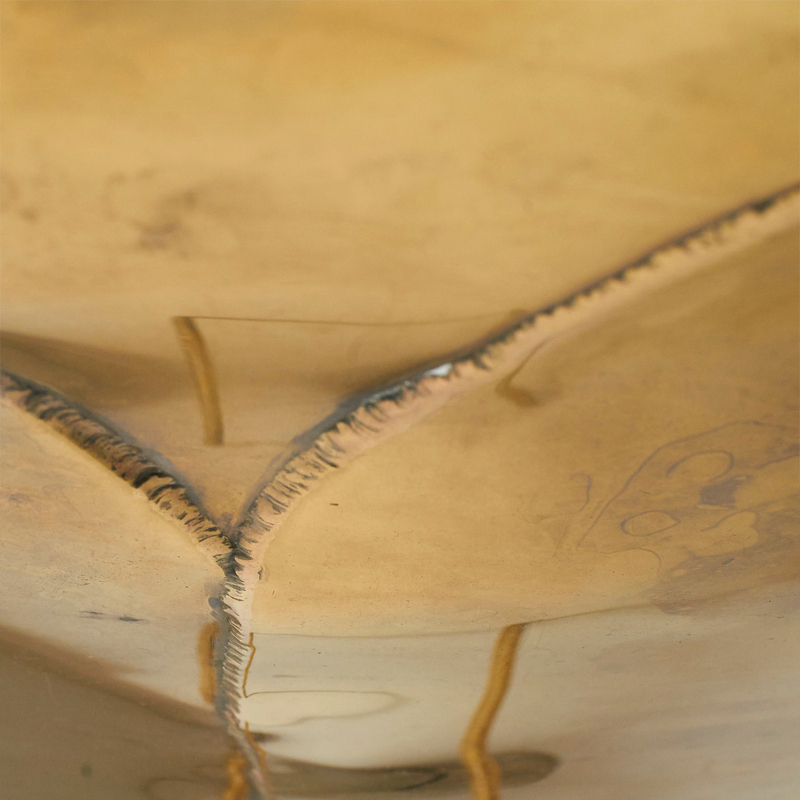 Incredible detail on all areas including the underside. 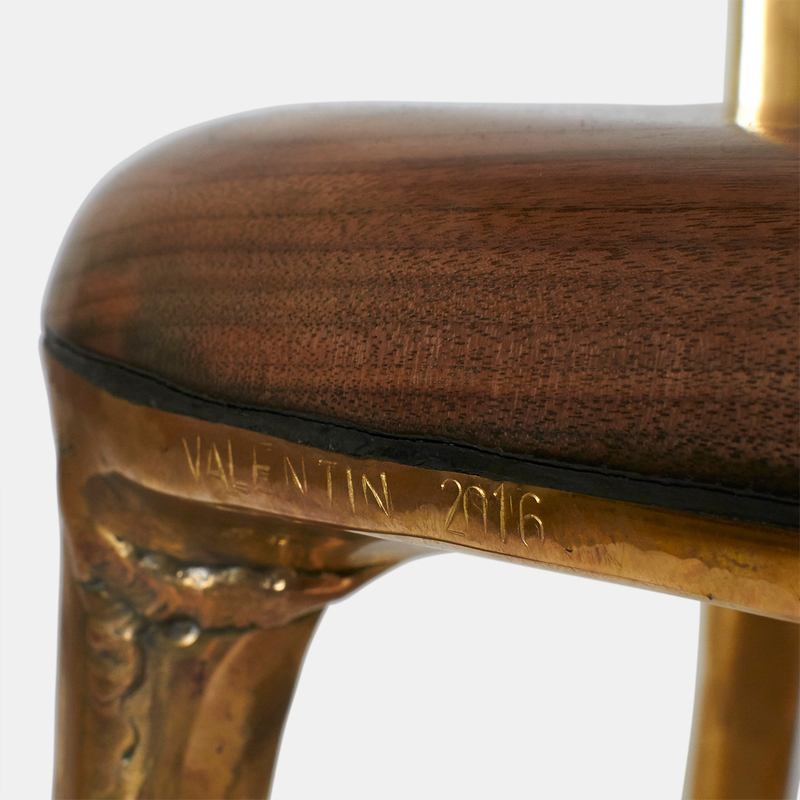 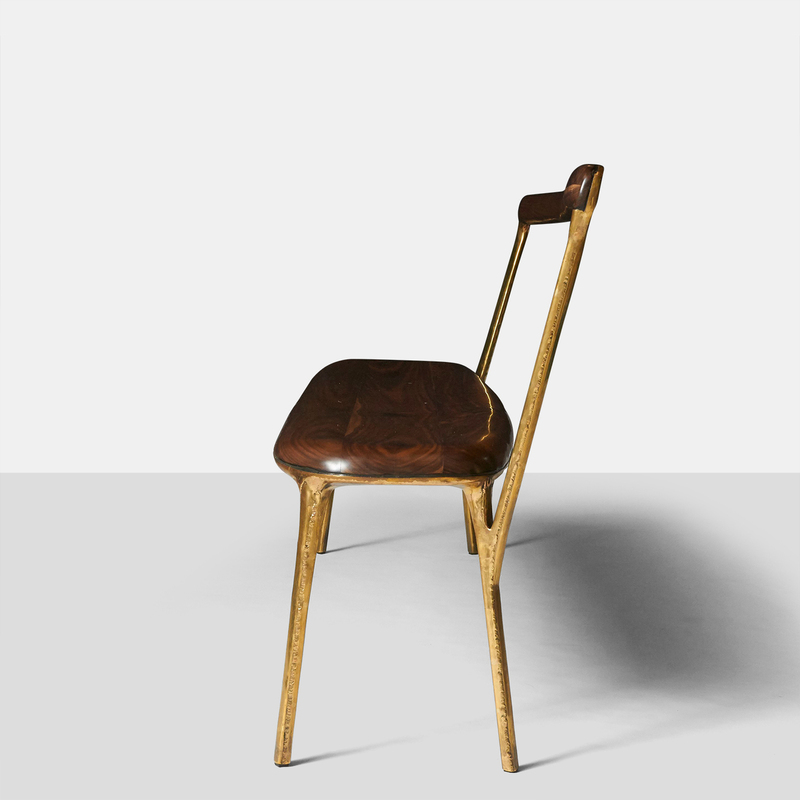 Each piece is completely handmade by Valentin Loellmann and all are signed and numbered. Almond & Company is the exclusive gallery representing Valentin’s work in the United States. 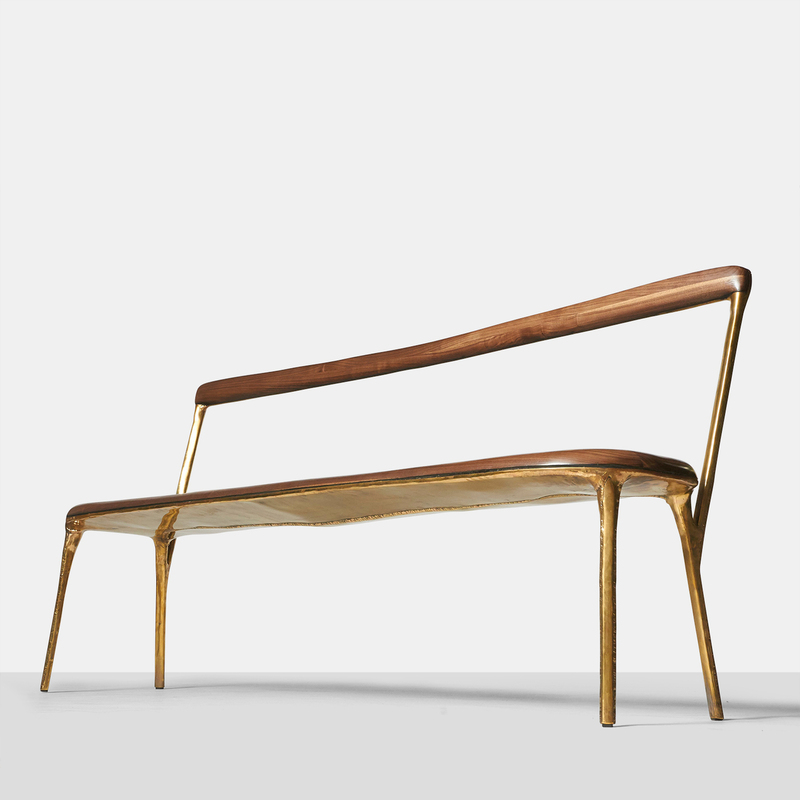 Valentin Loellmann was an award winner at PAD London for best new piece.